Why are you hearing so much about recalled cars lately? While it’s unlawful for a dealer to sell or lease a new vehicle with an open recall it doesn’t apply to the sale of used vehicles. So, if you’re looking to purchase a vehicle, or already have and would like to check for safety’s sake, grab the 17 digit Vehicle Identification Number (VIN) and plug it in to the government’s new website: safercar.gov . If you’re having trouble locating the VIN it’s often on the plates of the doors, on the dash where it’s visible from outside the car as well as on several pieces of paperwork such as your vehicle title, registration and insurance card. If you’re worried about how to pay for it let us put your mind at ease: when your vehicle has an open recall the parts and service work are covered by your vehicle’s manufacturer. Last year a lot of research was done into previous model years vehicles by major manufacturers, especially General Motors, where they investigated the production of nearly every vehicle produced in the last 10 years. 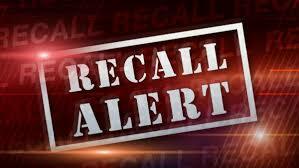 They found some evidence that lives could be put in jeopardy or lost if certain things weren’t addressed and that led to a huge amount of recalls in the market last year. Recalls come in all shapes and sizes but are generally issued when a manufacturer discovers an error in production in a limited amount of vehicles that may inconvenience some consumers or endanger others. Sometimes a recall notice will only result in them double-checking your vehicle to make sure it’s safe, other times they’ll discover a defect and repair it to keep you safe and on the road. We’ve seen recalls for the installation of hitches on Jeeps (whether they came with them originally or not), for ignition switches in older General Motors vehicles that could sometimes stall the engine while driving (it seems that if the key were weighed down by a heavy key chain it could loosen and shut off the vehicle – that’s definitely something you’d want repaired if it were you!) to double-checking that bolts for the front seats in vehicles were tightened all the way so they didn’t work themselves loose down the road (like we saw on brand new Colorado’s before we were able to sell them). It’s a good idea to check your vehicle for open recalls on the website in the previous section every now and again in the event that some new information comes to light. Our local news station in Asheville, WLOS, recently reached out to our owner, Van Olp, about recalls from a dealer’s perspective. Van was quoted as saying that “all of our cars are checked and we never intentionally sell a car with a recall”. He also shared that “it’s a very difficult process for us because every day they come out with new recalls” and with our massive inventory there’s a lot for us to keep up with. That’s why Van and our team developed our Autostar Certified Pre-Owned program with a 100-point inspection to make sure that you can purchase confidently from our locations. Even still, we urge all consumers who recently purchased a vehicle or are in the market to utilize the tools provided to keep yourselves safe when you’re on the road. And of course we welcome you to check our massive used vehicle inventory and contact our awesome World Class Internet Department at (800) 680-0835 with all questions, comments, concerns and vehicle inquiries.